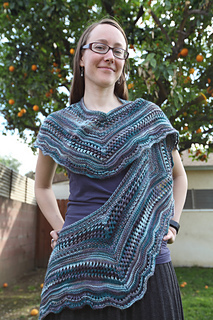 This lovely shawl was the Jimmy Beans Wool Downton Abbey Mystery KAL for 2014. 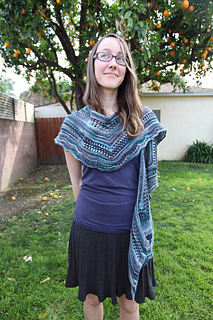 This is a sampler-style shawl with instructions included for either beginner or intermediate stitch pattern options throughout. You can mix and match sections from either one, or you can knit the instructions straight through depending on what you fancy. Either way, the result will be unique, based on your preferences! The design is inspired by Lady Mary who is grieving throughout much of season 4 of Downton and I wanted to design a comforting shawl that she might wear during this time. 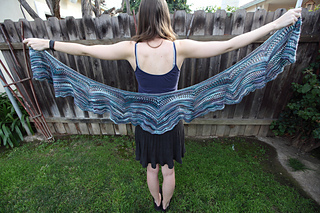 As requested by many KAL participants, designer includes cast on instructions for a shorter version of the shawl so that you can adjust for your height or if you’d like to use a bit less yardage. 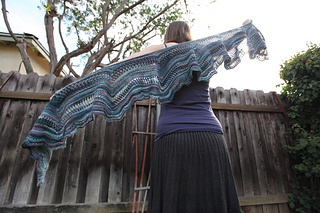 -The final design of our shawlette will be based on the events and dialogue of each episode of Downton Abbey, Season 4 (yes, we have a BBC connection and have watched/studied it already)! -On the morning before each episode airs on PBS, you will receive a set of directions for that evening’s episode. -There will be 2 options specified in the directions: one for beginners and one for intermediate knitters. -The rules are designed so that rarer events require more complicated or laborious stitch patterns. -For those of you that didn’t or couldn’t watch, we’ll release the “stitch pattern key” to the episode the day after the show airs. -Yarn Needed: We’ll be using 2 hanks of Lorna’s Laces Honor in the “Bated Breath” Limited Edition color, but you can also use 550 yds of any DK weight yarn with lots of drape. Sound fun? Be sure to check in and join the Jimmy Beans Wool Ravelry Group and watch the JBW Blog for more info! Please note: As of 12/31/13, the Lorna’s Laces Honor yarn, if not yet ordered, will not be shipping to customers until 1/10 after the KAL starts. (If you’ve already ordered and received an e-mail that says when your yarn will ship, go by that date.) 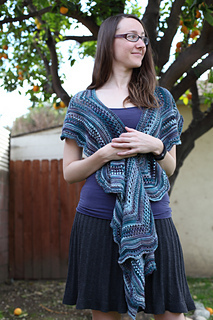 We have already sold through the skeins we originally ordered for the KAL. If you want to start on time with the group, you are welcome to join in and use a different yarn. You can also opt to wait for the Downton yarn and then play catch up as you’ll only be about 2 episodes behind. It’s completely up to you, and we hope you’ll still join us either way! 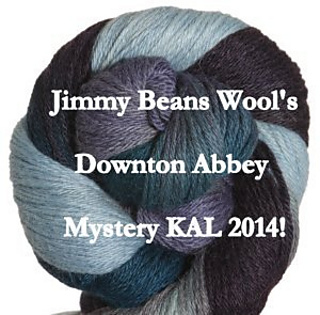 If you are an LYS and would like to host Downton Abbey KAL Meet-ups in your shop, that’s great! We are thrilled to have you participate with us! Please feel free to share the pattern with your customers, as long as you give full credit for the content to the designer and Jimmy Beans Wool. Also, feel free to let us know you are participating (send an e-mail to kristen@jimmybeanswool.com) and we’ll happily give you a shout out on Facebook and our other social media accounts. We want your business to do well and receive some attention too! Thank you for participating!